There are loads of utilities that people would like to have handy. But when efforts are involved to reach them, the usual exclamation is, “I wish there was an app for this”. The smartphone market has gone app-savvy and we are surrounded by people who use at least 5 apps daily in their routine lives. Google hosts 2.6mil mobile apps, Windows has accumulated around 669k apps and Apple Store has 2.1mil apps. With this, the number of entrepreneurs looking towards building an app as a prospective startup idea is also peaking. Most apps in the market today are single utility, i.e. they target a shortcoming and work towards fulfilling it. Like apps that provide Cab rides; even though they cater to a huge market, they facilitate Cabs on demand, and that is their sole purpose. A few video apps provide us with basic facilities of video editing and at the end of the day allow us to upload/share videos over a network, and that is their sole purpose. There are numerous such examples, but in today’s evolved environment of IoT, AI with increased Processor power and massive RAM capabilities, how long will single utility apps sustain? Customers are on the lookout for comprehensive solutions. Apps that do not restrain themselves to a specific purpose but act as a fully packaged Software providing end-to-end solutions. On this note, I would like to point out that if you are on the lookout for a simple app, this blog is not for you. If you are on the lookout for instant gratification, with minimal research, this blog is not for you. 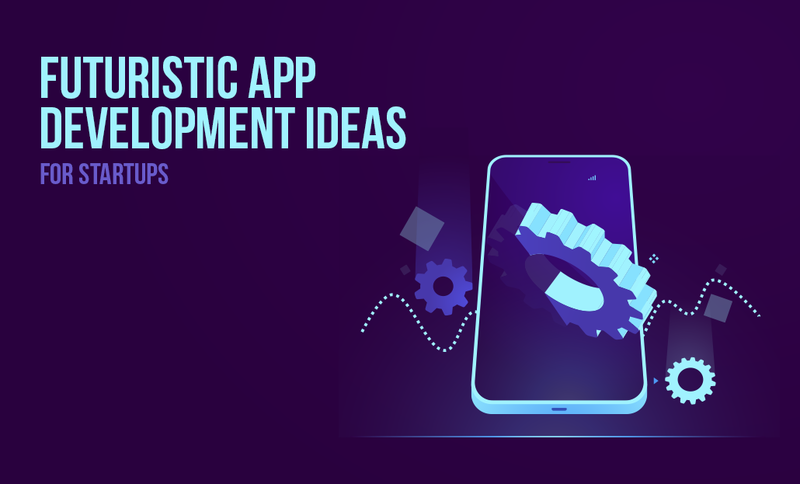 If you are in search of a prospect that can form a foundation for a long term, sustaining and evolving idea that provides a comprehensive service, then these app ideas might be able to act as the stepping stone for your startup. Quite a few applications in the mobile app domain provide a platform for places to rent. Driven by information provided by the Owners, these mobile apps focus on eliminating the middlemen in house renting transaction. But often these apps work as property listing domains with owner/tenant contact information. An extensive end-to-end service is not facilitated by these apps. Verification of the Owner and the tenant. Property history and previous tenant’s reviews. Even though we want our lives to be dynamic and our weekends to be a phenomenal series of events we end up executing the same stagnant routine over the weekend evenings. These evenings are mostly planned, and even though we end up making these plans at the very last moment, the series of events decided, and we rarely divert from those. To cater to these plans, we end up using multiple apps for segregated purposes. For the seamless execution of an evening, we need an app that is a collaboration of multiple services. Buying the product from an online vendor. Issuing and extending the warranty. Finding nearby support centers for getting the device fixed. Keeping a track of the Deprecated value of the asset. Finding vendors online who wish the buy the asset from you. Resale transaction of the asset. Legal authority transfers of the asset if any required. Utilizing all health-related functionalities a wearable device can provide and devising a health package out of it involves both IoT and AI. This comprises doctor visits, nutrition plan, gym/exercise schedule, reminders for intake of food or water, real-time health monitoring, scheduling diagnostic tests, and offering a preliminary diagnosis. Use of IoT to monitor the pulse rate and Blood Sugar levels, stress levels. There are numerous shopping websites with customized apps that can help you find products according to your specifications. These customized apps provide us with a view constricted to the vendors which are registered with them. Most of the times you end up finding the right product for you in-flesh. When you have a product in front of you that you wish to buy but can locate the origin; a simple SNAP of the product should do the trick. So the next time you find the right purse to go with your dress or a fancy device never seen before, just take a snap of it and the app will locate it for you, all over the Internet. It will come up with options of online as well as physical locations from where you can purchase it and provide you with the Prices and Ratings. Similarly, if you need a to sell a product that has been with you for a while, you can post a pic with specifications and the same app will find prospective buyers for you and start a bid. This would involve intensive AI based image processing capabilities. Most individuals are indecisive over what they can do with their weekends. Clubbing and dancing are a few common alternatives they explore but end up spending most of their time pondering. Most aspire to perform fruitful activities in terms of social as well as personal growth over the weekends. A social networking app that would on the basis of your interests and hobbies, find you prospective destinations that you could try out, could lend assistance to such individuals. Participants can be grouped together based on their interests for these activities so that you have partners as well as motivation for participating in events. Group of individuals with common interests can post their upcoming activities inviting others to join in. The App can facilitate hosting an event, payment of participation fees, track your improvements/growth, provide motivational examples or individuals for you to get assistance from; and facilitate personal growth through social interactions. Hence promoting an optimal and meaningful utilization of your free time. Wouldn’t you like to learn all the fancy foreign languages, never the less you drop the idea regressing that you have crossed the age-bar for it. An app that can gradually teach you the languages that you choose by taking short sessions as per your convenience. Further, if you plan to visit foreign locations where you are not familiar with the language being used, it can be used to translate the signboards, books, advertisements with the help of your camera by image interpretation. It can also translate the verbal communication of an individual into your local language and help you respond appropriately. With the use of its video facilities, it should be able to translate even sign language into words to help communicate with the vocally impaired. Financial planning doesn’t limit itself to investments to be made to save a chunk of Tax from going to the Govt. AI is revolutionizing the Investment Banking domain. Investment Banking calculations are mostly based on Trend Analytics and Predictive Algorithms based on historical data. These calculations can easily be performed by an AI-based app. With Machine Learning it can present you with predictive outcomes of future decisions that you take with regards to your investments. Providing you with opportunities to instantly invest via the application and viewing the status of those investments. It is about time that prescriptive analytics be evolved to accommodate automated Investing Advisory services within an App. Futuristic Apps forms a niche list which is ever evolving and needs to be dynamically appended. As newer breakthroughs are introduced in the IoT and AI market it gradually changes the existing scenario providing newer avenues for upcoming entrepreneurs. This list will be updated on regular intervals with tops app ideas that can be utilized keeping in mind the direction towards which the technology trends are flowing.